The Beastformers Archeology project is a joined venture between some die hard Battle Beasts collectors and fans out on LRG (Little Rubber Guys) in order to share the knowledge and information captured in the back stories of this vintage line in an organized and arranged way. Everyone, who has interest in the Battle Beasts line, will know that there is a huge amount of information available out on the internet related to this line and probably the biggest, most accurate and up to date amount of info can be found on LRG thanks to an active group of fanatic collectors. BUT this does not always mean the info is indeed accurate or up to date. Since the original information around this line, only available in Japanese has either been translated in an incorrect way or it has been misinterpret overtime some back stories have become doubtful or show defective information due to new things that are still revealed once in a while. And its not only the Japanese language which has caused some info to become cloudy because it also goes for info which was thought to be known but which has been traced in time. So the reason to combine this Beastformers Archeology team is to once and for all get some of these original background stories verified, checked, updated were needed and clearly composed so that they can be preserved as a book of reference for all current Battle Beasts collectors as well as for those who will join in the future. All for the sake of Battle Beasts History! The Beastformers Archeology team members stay in touch via PM behind the scenes and this is also where all of these new back stories will be composed. Via a combined PM the team will start discussing a specific subject related to the Battle Beasts line. When a specific subject has been chosen each team member is expected to come up with their knowledge, clear facts and or rumors gathered over time related to that subject, than a clear summary of the info which is already out on LRG or on other locations on internet will be added. From this mixture of information, which should be more than enough to compose either a complete back story based on facts or a plausible story with some missing blanks, a new accurate back story will be composed. And this is the story that will be shared in a new topic related to the subject out on LRG. So this means that the moment that topic is shared a big part of the research is already been done by the Beastformers Archeology team and although there is a lot of knowledge present in that team it is expected that some stories are still to be completed or are in need of some blanks to be filled in and this is the moment where the other LRG members join in. In the hope to trigger as much accurate, specific detailed information and facts as possible from fellow Battle Beasts collectors and fans the back stories that will be shared in a new topic are composed in such a way that they are still open for discussion but in such a way that it will always be a matter of details so that in time the story will be fine tuned with all of your help resulting in a final true back story which is worth it to be shared and preserved! Not only a back story will be composed and shared but if needed also clear references like pictures or scans of the subject matter will be provided for extra clarification. There is no clear order or an actual list of subjects so this means that subjects will either be picked randomly, according to a certain sudden urge for info or it will be based upon the need to get some outdated back stories updated. Please do not contact any of us with the request to look in on certain subject because all of the members are out on LRG more than enough to notice if there is a certain urge for it and otherwise the team has experience enough to come up with interesting topics on their own. Despite the fact subjects might be chosen randomly the system behind it to keep this whole project arranged, which is further explained below, will make sure that there is a clear order to keep things organized and easy to trace. This is the openings topic of the Beastformers Archeology project and will be pinned as such. Soon a Table of Content will be added and this will grow in time along with the different kinds of subjects that will be discussed. All these different subjects will be posted within an own topic in the way known on LRG but with the only difference that as soon as a new topic is posted it will also be added and linked to the Table of Content so that the specific subject matter will be easy to trace back. This will help you to find the specific info you need in a glance serving you with the most accurate and up to date info. All Beastformers Archeology topics shared on LRG will be clearly recognizable on their own as well due to the name of the header and the logo which will be shown at the bottom of a topic, which will also include a direct link to this main pinned topic that holds the Table of Content. Since the team is composed out of different LRG members and all subjects will be discussed in private via PM amongst the members first it is impossible to keep info coming up a couple of times a week since the idea is to really put some effort and energy in putting good and accurate back stories together. This means that the team will strive to get at least one new topic up a month if things go well this might become twice a month but it wont be more since the whole team is doing it for fun but the time and research that will be needed is something that should not be underestimated. So once (or twice) a month a new topic will be posted and added to the Table of Content within this main pinned topic. And a couple of LRG members are directly available for the team to provide us with references if needed. 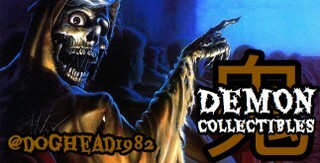 The plan was to compose a team that would hold a variety of collectors including some die hard collectors people with a massive collection and a few newer collectors in order to create an interesting mixture for the upcoming discussions. The current composition is the max amount of people to prevent endless discussions behind the scenes because in the end our goal is to share as much useful and correct information with everyone out on LRG. For those LRG members who did not receive an invitation and for those who might feel as if they are passed I am very sorry but this is the shortlist of people who I decided to let in on this based on several experiences and or based on their positive reputation out on the board. In time some new members might be needed or current members might be replaced so in that case there will be new chances again. For now please join in on the discussions within the new upcoming topics because even though your not part of this team all the information and knowledge is welcome since we are hopefully all striving for our combined goal which is a clear back story for the subject matter. 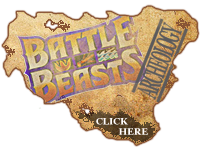 Thanks, and please participate and enjoy the Beastformers Archeology Project! Table of content, which will be updated in time, will directly follow in the 1st reply below. Edited by Beastformers, 25 September 2014 - 08:17 AM. - Bestias de Combate, etc. Further Links and info will be added in time along with new -BA- Topics that will get posted out on LRG. The first subject is currently being discussed behind the sceneÃ¢â‚¬â„¢s and will be posted and updated in the Table of Content as soon as weÃ¢â‚¬â„¢ve been able to formulate a result. Also the main headers that will help the way in which this Table of Content will be arranged in time with all different kind of subjects will be part of discussion shortly. Edited by Beastformers, 07 August 2015 - 12:24 AM. Wow this looks an awesome project, looking forward to the topics and what new information surfaces. We've now started discussing the 2nd Subject: Prototypes & Blueprints and hopefully this will result in some interesting new topics and facts as well because the more info we get spread out here in an arranged and organized way the more and easier we'll be able to make connections in the future and start discussing more and more to get towards the real stories. Thanks for the support and participation so far! You guys are doing an awesome job with this! It´s been a little slow lately with the BA Project, and my apologies for that, but we´re still going! Actually I´ve been diging through some of the recently discussed info and the combined photogallery today in order to summarize and finalize the final topics within the 2nd Subject: Prototypes & Blueprints. It was the intention to create one bigger topic including the Prototype BB Vehicles, BB Playsets and LB Chariots but since we´ve quite some pics for each of them I decided to create 3 individual topics for them which I´ll hopefully be able to get up in about a week. If all works out well the BB Protoype Vehicles topic should be up later today or tomorrow. After these 3 topics within the 2nd BA Subject have been discussed we´ll continue with another topic regarding the release locations of the BB and LB because we all know they´ve been spread out over many countries but there are still some doubts and gaps open when it comes to the actuall released series for certain countries. Edited by Beastformers, 21 September 2014 - 10:24 AM. lord of the rings chess set!